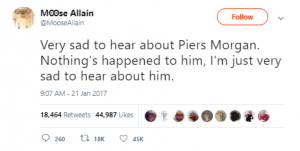 When human clickbait generator Piers Morgan decided that the latest victim of his pompous criticism would be Daniel Craig, he stirred up his usual Twitter storm. 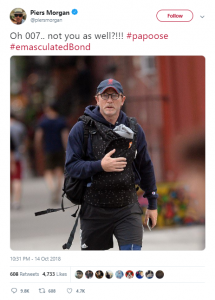 In Morgan’s eyes, 007’s crime was to carry his new baby around in a papoose – also known as a sling. 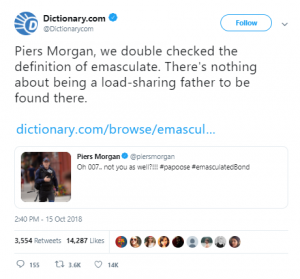 It was, to Morgan, a sign of the emasculation of a man. As ever, the touchpaper was lit and Twitter indeed went up in flames. 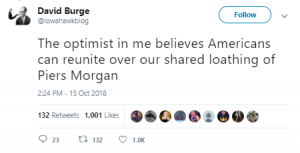 At the time of writing, Morgan’s post has received over 8.2k direct comments and without going through every one, it’s a fair assumption that the majority don’t share his view. 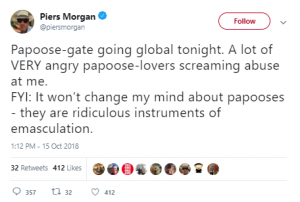 Morgan’s tweet continues to attract huge amounts of attention, with the Washington Post being among major global news sources reporting – as Morgan calls it – “Papoose-gate”. Evans’ reply has generated almost 50k retweets and 300k likes – shooting Piers Morgan’s reach firmly out of the toxic water. Of course Morgan has considerable form in the area of offensiveness. 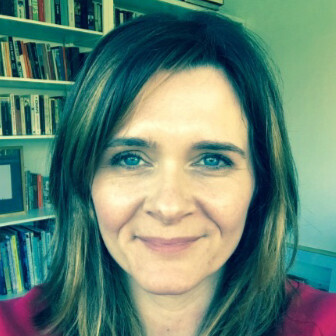 From calling anti-phone hacking campaigner Hugh Grant “tedious”, to his ongoing feud with JK Rowling, Morgan epitomises a sensationalist and bullying persona alive and well on social media platforms and practised most adeptly by his close friend Donald Trump. Described frequently on Twitter as a professional troll, savvy users know full well his main motivation is self promotion and publicity, which seems to have worked given he’s amassed almost 6.5 million followers and a reported fortune of over £15 million. Many deal with Morgan’s outburst by making him an object of derision on social media. For those who do not have the inclination to argue with him, treating him with ridicule seems a very acceptable way of acknowledging his presence while not giving him too credibility. One thing we can guarantee is that Morgan and his bullying will be back, his soapbox pointing in a different direction. Since I started writing this, the original tweet has gained another 1,600 comments so why wouldn’t he?